Cranial neural crest cells — which give rise to the bones and cartilage of the skull — are vulnerable to Zika virus, report Stanford University School of Medicine researchers September 29 in Cell Host & Microbe. The discovery, made by infecting in vitro cultures of human cells, offers a potential mechanism for how children born with the virus can have smaller-than-average skulls and disproportionate facial features. 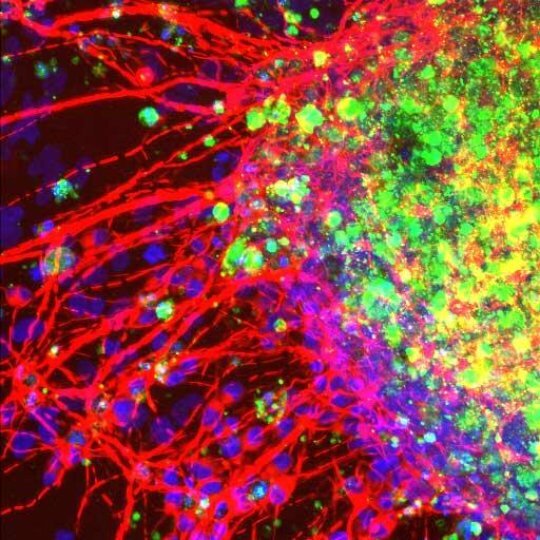 This image shows neural stem cells after being treated with LIF signaling molecules, 20x.